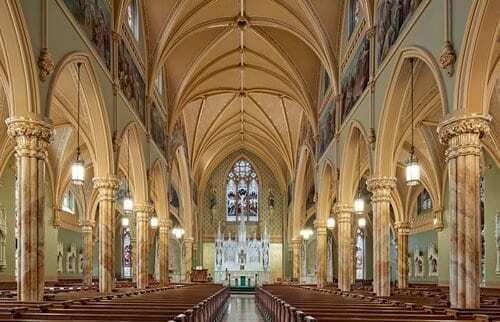 St. Patrick's Parish Restoration | John Canning & Co. 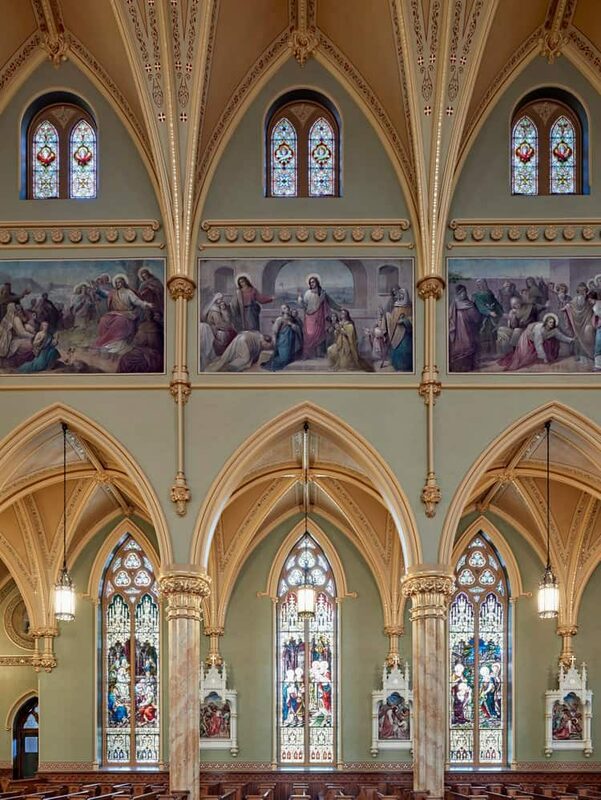 The comprehensive historic restoration and conservation of St. Patrick Parish took more than a year and required the full breadth of Canning Co. services, experience, and skills. Over the course of one year, the Canning team of conservators, analysts, artists, decorators, designers, and tradesmen uncovered original colors, decorative patterns, and finishes, conserved 24 murals, restored Stations of the Cross, repaired and stabilized plaster, and conserved the scagliola columns. Canning specialists cleaned and polished the fine-art marble sculptures of saints, angels, and the ornate altar, all carved by Joseph Sibbel whose work can also be found in St. Patrick’s Cathedral, New York City. The new cry room and confessionals were painted with a wood-grain technique to match the existing hardwood finishes. We also proposed and created new shrines with fine-art murals depicting the Hispanic and Vietnamese Marian apparitions, Our Lady of Guadalupe, and Our Lady of La Vang.